I have had my Rainbow D4-SE vacuum for 16 years. Yes, it has been well worth the investment. It is the best vacuum I have ever had and I have had probably a total of 10 vacuums over the past 25 years and many years ago cleaned houses for a living so I have used just about every brand there is. I have one Malamute and one Siberian Husky, so the hair is almost impossible to keep vacuumed up. Last year my power head on my Rainbow finally gave out after almost 7 years with my Malamute’s hair. In the past year I have purchased a Dyson (a dream to empty), which lasted all of three months and then quit working for floors and I could not find any shop that would repair it, they all wanted to sell me another vacuum for more than I paid for the Dyson!!! I then purchased a bagless Hoover Mach 5 for less than $200.00, which works okay, but is a nightmare to empty (the Dyson works very well for vacuuming out the cyclonic chamber on the Mach 5 though, if you can afford to spend the money to buy a vacuum to clean out your other vacuum). As I said before, the Rainbow is the best vacuum on the market and well worth the money since you will have it for years. I still bring my Rainbow D4-SE out for the bare floors since it is the best and really gets into the corners and under the fridge. My only problem is trying to find another complete power head for my Rainbow D4-SE at a reasonable price, since I have spent so much on vacuums this past year already. For a fairly reasonable price from a Rainbow authorized dealer/repairmen (been in the biz for 20 + years). The price was $175 for refurbished, or $300 for brand new power nozzle. I went ahead and opted for the refurbished which I’m picking up today. We purchased our Rainbow D4 SE vacuum cleaner in ’96, and although it was quite expensive, I’ve never regretted the investment. Although I initially “gulped” at the cost, two long-time Rainbow users promised me that I’d be pleased, and they were right. We have always had 2-3 dogs at a time, so between puppy accidents on the carpet, and shedding, it’s been a lifesaver. It vacuums and dusts tremendously, and I’ll admit, I’ve abused it over the years (drywall dust, saw dust, etc during remodeling projects). Knock on wood, it’s just kept working away, hopefully for many more years. My other family members think the water pan is a hassle and don’t like filling and (especially) emptying it, but they all admit how well it works. I feel that emptying the collection canisters and replacing filters on other vacuums tends to be just as bothersome (not to mention the additional cost with each filter replacement). I’d had some minor service work done, replaced two of the brushes that had worn down, and have had to replace the water pan latches/springs on 3-4 occasions. They seem a bit flimsy, considering their importance. A couple of years ago, I bought a 4-gallon water pan, which I love, although it does make it a bit more unstable and it’s toppled over a couple of times (although hasn’t really created a mess). Over-all, it’s been a great tool and I would purchase another Rainbow, but not through an in-home representative (if they still do that). If I hadn’t already been about 90% sure I wanted one when I originally purchased, I would have been completely put-out by her hard-sell approach. We purchased a Rainbow in 1986 for $1200, exorbitant, right? But after 24 years, 5 children, 1 dog, 2 cats, various other pets and many many relatives, our Rainbow SE D4 has been a terrific investment! 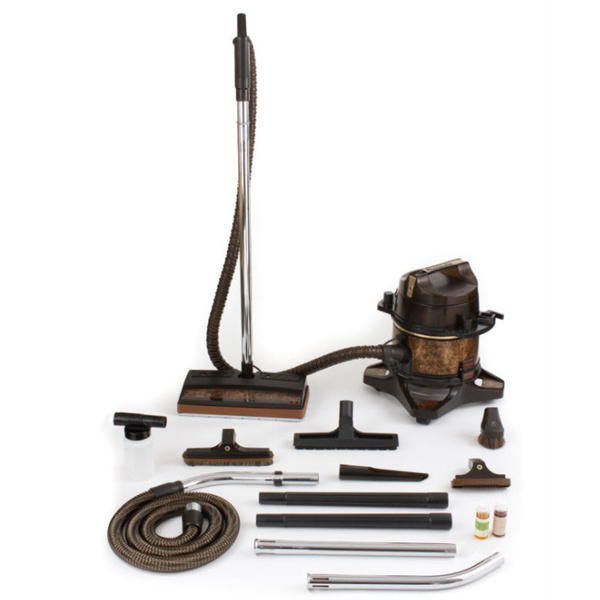 That calculates to about $50 a year – you can’t buy an excellent vacuum at that price – anywhere!! Would I buy another? You bet!! Try RainVac.com. They have parts available for the D4-SE, including power nozzles.